How many mascots does one town need? It's understandable for any place to have a few things it might be famous for and therefor a few special personifications of such things in Japan, but seeing this massive poster for Shiogama's mascots made me feel that perhaps they have gone a bit overboard. I took the liberty of translating the goods, though I lack the ability to reliably translate kamaboko into a small caption. That delicacy is essentially mashed fish meat molded into special shapes. If you're not into fishy things with non-fish texture, you won't like it. 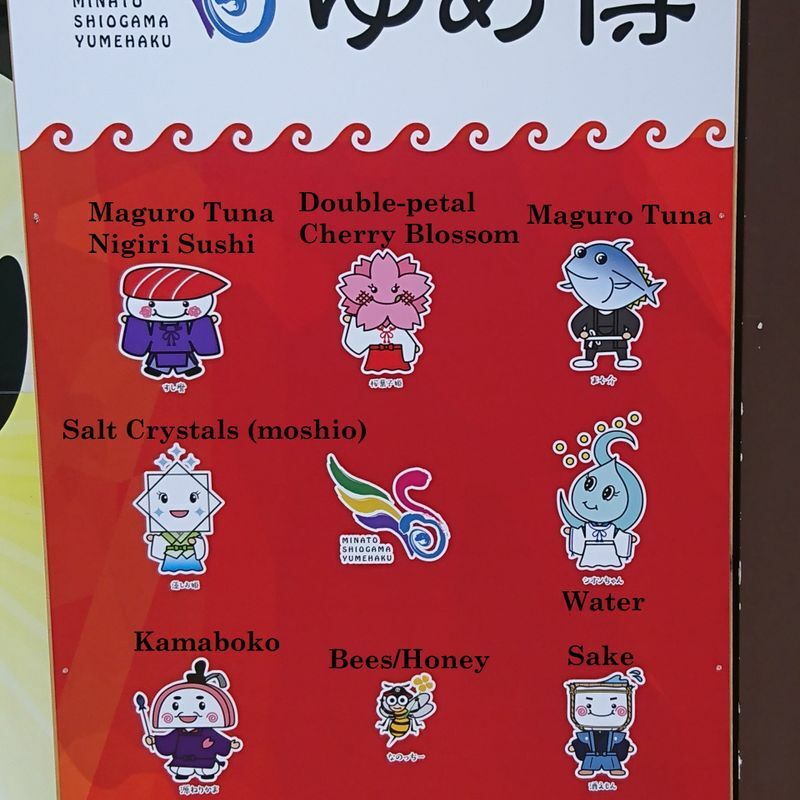 Also, please note the little round white emblem on the wakame, nori, oyster and bee related mascots. That emblem indicated that they aren't even from Shiogama but Matsushima, the next town over and home to a considerable number of great tourist locales, but that doesn't really clear up why they are here. I get why larger cities would likely be known for half a dozen special things, but Shiogama isn't that big, and some of these things don't even make sense to me. 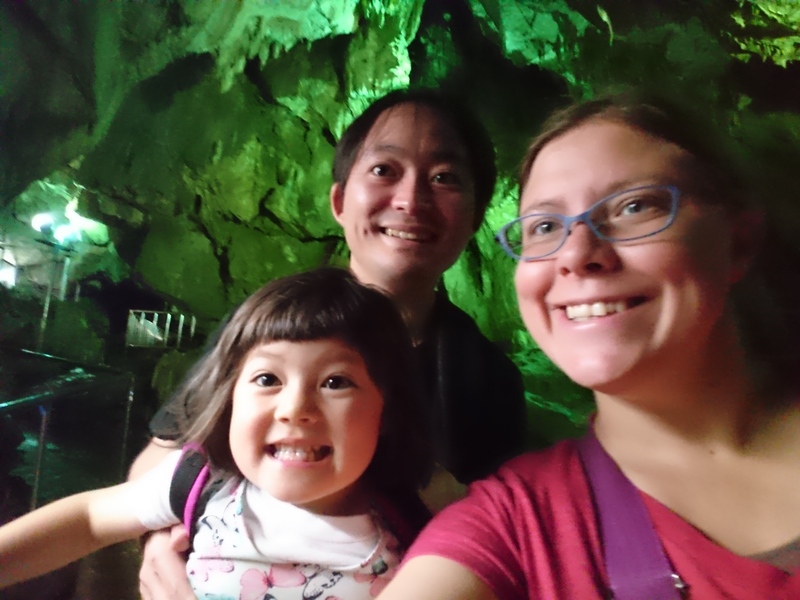 There are sake breweries and fisheries and the double-blossoms at the shrine are even named after the city and shrine. Personally speaking though, the water here isn't as delicious as the last place I lived in Japan, nestled in the southern alps with water as delicious as Evian coming from the taps. Shiogama water isn't bad, but it isn't fresh mountain water. It's a lot better than a lot of Texas water, of course, but still...does it require a mascot? And how do they get away with having a fish mascot and 2 different fish product mascots? Are other towns like this? How many mascots does yours have? @helloalissa No costumes but there are goods for each, like pins and postcards and things. According to wikipedia, Shiogama's population is just above 50,000. That's why this is so out there. One makes sense, right? One mascot per city. Not that I'm complaining, really. It just seems excessive.